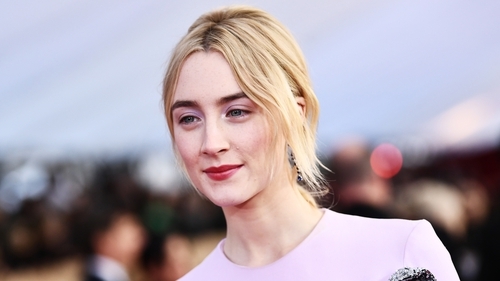 Saoirse Ronan has said she is "thrilled" and "incredibly grateful" to have received her third Oscar nomination for her performance in the comedy-drama Lady Bird. 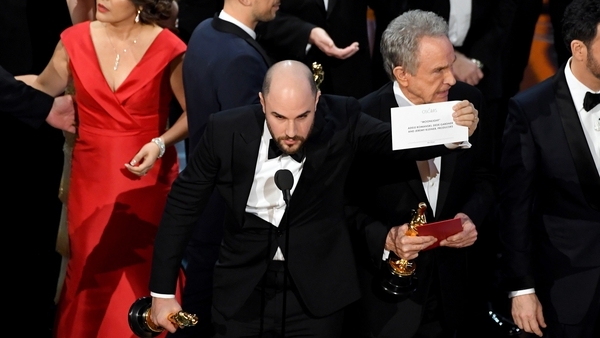 The Golden Globe winner's Best Actress nomination came on a great day for Irish talent, with Three Billboards Outside Ebbing, Missouri writer-director Martin McDonagh, Phantom Thread star Daniel Day-Lewis, Irish animated film The Breadwinner and costume designer Consolata Boyle also shortlisted for Academy Awards. "To have been a part of a film like Lady Bird was a true privilege and I am incredibly grateful to the Academy for recognising this wonderful story about the beauty and strength of women," Ronan said. "I am especially thrilled to share this moment with [co-star] Laurie Metcalf and our leader and director Greta Gerwig, who, like Lady Bird, is an incredible woman and a dear friend." Ronan is shortlisted in the Best Actress category alongside Sally Hawkins (The Shape of Water), Frances McDormand (Three Billboards Outside Ebbing, Missouri), Margot Robbie (I, Tonya) and Meryl Streep (The Post). The 23-year-old was previously Oscar-nominated for Brooklyn (Best Actress) in 2016 and Atonement (Best Supporting Actress) in 2008. Fellow Golden Globe winner McDonagh has received Best Picture and Original Screenplay nominations for Three Billboards Outside Ebbing, Missouri, with the London-Irish filmmaker's searing study of grief also picking up acting nods for Frances McDormand (Best Actress) and Woody Harrelson and Sam Rockwell (Best Supporting Actor) among its seven nominations. McDonagh - already an Oscar winner for his short film Six Shooter in 2006 - missed out on a Best Director nomination this year. Three-time Oscar winner Daniel Day-Lewis has been nominated for his performance in Phantom Thread alongside Timothée Chalamet (Call Me By Your Name), Daniel Kaluuya (Get Out), Gary Oldman (Darkest Hour) and Denzel Washington (Roman J Israel, Esq). Kilkenny's Cartoon Saloon is also shortlisted for its new animated film The Breadwinner, which tells the story of a young girl's life under the Taliban regime. Costume designer Consolata Boyle has received her third nomination for her work on Victoria & Abdul. Fantasy romance The Shape of Water leads the Oscars shortlist with 13 nominations. The Oscars take place at the Dolby Theatre in Hollywood on Sunday March 4. Lady Bird opens in cinemas on Friday February 23.